Daily Mirror - Have they been killed or hidden? Have they been killed or hidden? Law enforcement bodies, such as Army, Navy, Police and the CID (Criminal Investigations Department) are supposed to protect the country from any kind of disturbances with the devotion towards the country. Security personnel have many responsibilities in the profession as such they deserve due respect. 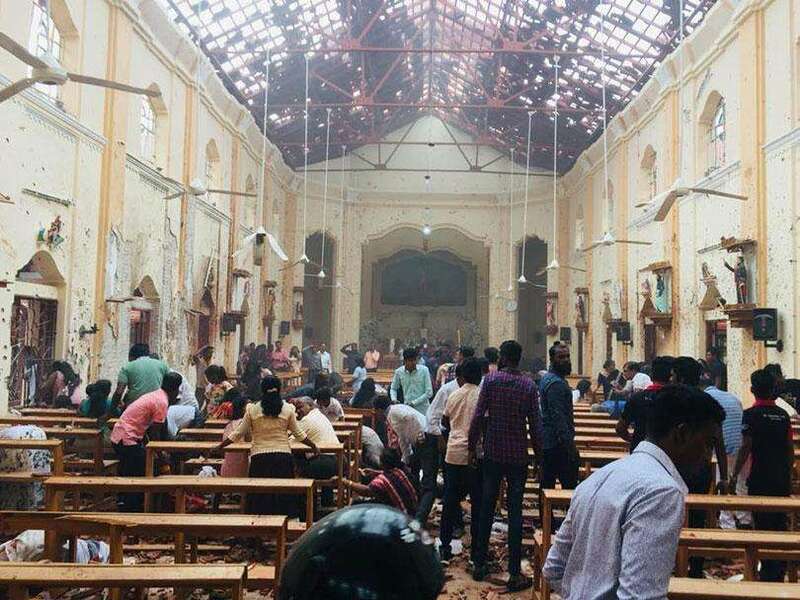 With the rise of white van abductions and illegal detentions, the image of Sri Lankan Navy defamed; long plaguing the people who said to have been involved in nefarious activities. The series of activities beyond the judiciary were carried out by a few officers attached to the Navy on the pretext of conducting inquiries from the abducted youths over alleged connections with the LTTE. It was revealed that Lt. Commander Sampath Munasinghe, a member attached to the former Navy Commander Admiral Wasantha Karannagoda’s private security division had abducted the youths and detained to extract money as ransom from the family members. 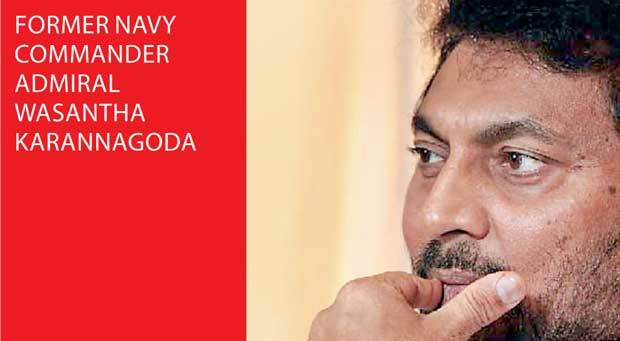 Based on a complaint made with the CID by former Navy Commander Admiral Wasantha Karannagoda against Lt. Commander Sampath Munasinghe who was charged of handling the unlawful abductions and detentions, CID launched investigations. Meanwhile, the family members, whose lovelies never returned home since September 2008 had staged several protests demanding the authorities to find out the whereabouts of their sons, husbands and fathers. It is seven years since the kidnappings had taken place. Parents and wives of the abductees are still looking forward till their loved ones return home. In their 7-year struggle in Courts to find out the whereabouts of the youths, has again become a hot topic in the country with the forthcoming general elections. whereabouts of their sons, husbands and fathers. It is seven years since the kidnappings had taken place. Parents and wives of the abducted persons are still looking forward till their loved ones return home. In their seven years struggle in Courts to find out whereabouts of the youths, has again become a hot topic in the country with the forthcoming General Elections. During a recent Court hearing in Colombo, the planned abductions and detentions in secret torture camps during the previous government have been revealed. Sub Inspector Nishantha Silva attached to the CID who was heading the investigations in to the series of abductions told Colombo Chief Magistrate Gihan Pilapitiya that information had revealed that the former Navy Commander Admiral Wasantha Karannagoda and several Navy officers were also aware of abductions which took place on September 17, 2008 in Dehiwala. According to the Court report, during the hearing that had taken place on June 22, 2015, SI Nishantha Silva has said Navy higher authorities would have released the abducted youths without detaining them in torture camps if they found that the children were not involved in any criminal activity. In giving evidence in the Habeas Corpus application, SI Silva also revealed that even some Ministers were aware that the youths were held without making them appear before any law enforcement authorities. It was also reported that the prisons where the children were kept had very poor living conditions. However, SI told the Magistrate that the prison cells have been sealed now. Prime Minister Ranil Wickremesinghe in March this year publicly denied reports on the existence of secret camps in the country. He had said that he could not speak for the time before they took over the government. However, CID SI Nishantha Silva had finally informed the Magistrate that no arrests have been made so far, since the CID was yet to receive directions from the Attorney General following a forwarded report on the matter to the Attorney General. Meanwhile, Daily Mirror interviewed the family members of the abducted youths. 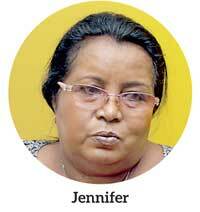 "CID SI Nishantha Silva had finally informed the Magistrate that no arrests have been made so far, since the CID was yet to receive directions from the Attorney General following a forwarded report on the matter to the Attorney General"
Jennifer, mother of Jamaldeen Dilan (24) who went missing since September 17, 2008, shared their story with us. “On the day he was abducted, my son was in a night out with his friends including Rajiv Naganadan a medical student who was a son of philanthropist Naganadan. Rajiv had wanted to give a treat to all of his friends because it was scheduled for him to go to the UK for his medical studies on the following day. 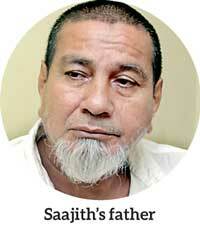 Rajiv’a father had earlier been abducted and rel eased after receiving Rs.1 billion. Rajiv’s father was abducted on allegations of having connections with the LTTE. Since my son and Rajiv’s other friends were with him at the time he was caught, they had taken away our children too. They had not involved in any kind of illegal activities,” she said. She said a man called ‘Mubarak Anwar Ali’ had called his sons and asked them to come to his place in order to solve some financial issue. But, she was unable to say further details about the financial issue that has reportedly taken place between the youths and Anwar Ali. However, Anwar was caught. But, recorded a statement and released. Since children are the most valuable assets in every parent’s lives and look after them in spite of facing many difficulties. When the child is lost in a wink, leading he/she could not be seen ever again in their lives, and not being able to know their whereabouts, how painful is it for the parents? She could not control her tears when she was speaking about her son. “We have been going to Courts and appearing before the justices for seven years. But, we haven’t found our children. Now, it is very difficult for us to spend money for lawyers. Like any other parent, we also had dreams about the future of our children. All we want is our children back,” she said. “For seven years, no witnesses were taken to the Courts. Time has come to see the truth prevailed, since all the evidence had been collected from the required parties. We are hopeful now,” Jennifer said. The Court-hearing regarding the white van abductions have taken place in the past few years very exclusively behind closed doors, so that neither reporters nor outsiders could enter into the Court premises. The family members were disallowed to meet the media when they came out of the Court Chambers. It is said that the youths were abducted for inquiries over LTTE links. When it comes to Dilan’s story, it is yet questionable whether Dilan was involved in such activities since Dilan’s father was serving in the Army for several years. Bringing up under an atmosphere where rules and regulations were apparently tightened, there was no possibility persuading Dilan to get involved in such activities. "For seven years, no witnesses were taken to the Courts. Time has come to see the truth prevailed, since all the evidence had been collected"
“Now everyone has forgotten what Navy, Army and Air Force did to save the country during the 30 years of war. Everyone is trying to show that we committed offences during the war. There were many aspects which I had to pay attention at that time. We detained the LTTE suspects after producing them before the Courts. These incidents are not related to them. As far as I am concerned, the youths had been abducted for ransom without making them appear before any law enforcement body. It was done without my knowledge. I would never have allowed such things to happen if I knew,” he added. He also said that after he filed the complaint against Lt.Commander Muasinghe, he had been absconding and later went under the shelter of Field Marshal Sarath Fonseka. Admiral Karannagoda said there was an invisible political hand behind the allegations levelled against him in order to sling mud at him. "There were many aspects which I had to pay attention at that time. We detained the LTTE suspects after producing them before the Courts. These incidents are not related to them. As far as I am concerned, the youths had been abducted for ransom without making them appear before any law enforcement body." He also said that such underground prison cells were not existing during the final phase of the war to his knowledge. Except the youths, other LTTE suspects had been detained in normal detention camps, he added. "This incident is just an isolated incident, and everyone should keep in mind and not to generalize it because the entire Navy is not responsible for what a few officers had done.”"
Coinciding with the above reports; where all the statements made by the witnesses mentioned therein; around 15 Navy personnel had seen the abducted youths and some of them have spoken to them while on duty at the detention camps. Here are some of the statements of the witnesses. Mohammed Saajith, a 23 year old youth from Dematagoda area had gone missing since September 9. He was a father of a baby boy at the time he was kidnapped. Saajith’s father spoke to the Daily Mirror. “My son was in Bambalapitiya that night. Upon a telephone call from Anwar Ali, whom my son and his friends had been associating with for a while, my son had gone to his place. Since then, his phones were not functioning,” he said. Anwar Ali had visited Rajiv Naganadan’s house and told his family members that if Rs.10 million was kept ready, the youths could be released. But, Saajith’s family was not able to collect such a big amount of money to pay the abductors. The most important part of the story Saajith’s father told us was the telephone call received from Saajith while in detention. “I was not at home when my son Saajith called. But had told his mother that he was also taken and detained over a financial issue between Rajiv and the abductors. He promised us to come back when the inquiries were over,” Saajith’s father said. During that short telephone conversation, Saajith had said armed personnel had been in the vicinity. Further, he said that they had been informed by a CID officer about the death of Anwar Ali, who had been beaten to death by the abductors in order to destroy the ‘outside source’. Among the abduction cases, the most sensitive one is about Kasthuriarachchilage Johnreed (24), the son of Antony Kasthuriarachchi (45) both were engaged in fisheries business were kidnapped on September 8, 2008. 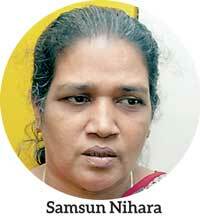 Samsun Nihara, the mother of Johnreed and the wife of Antony had paid Rs. 500, 000 to the abductors upon a promise to release her husband and son. But, finally what happened was Nihara was hoodwinked by the heartless abductors. Her story had brought tears from our eyes too. “My son was in Wattala beach with his fiancee. Four armed people, including one person wearing military outfit arrived at the beach in four motorcycles. This is so dramatic. They had stopped their motorbikes circling my son and his fiancée and pointing guns at them. Then, they had taken both away in my son’s van in which he had come to the beach. The motor bikes had been left there. At a request made by my son, the abductors had released the girl giving her money to go return home. This information was obtained from her,” Nihara said. Meanwhile, the ongoing investigations, right after one month and nine days, since Johnreed was kidnapped; a white van sans number plate stopped in front of Nihara’s house. Five armed personnel in military outfit with faces covered had forcibly entered the house asking for Antony Kasthuriarachchi, the father of Johnreed to come out of the house for an urgent discussion. They thought the armed persons might have been CID officers and let them in. Anthony Kasthuriarachchi came out with them, but suddenly he was strangled and thrown into the white van. Two of the armed men had broken telephone cables with them when they left the house. When Nihara questioned, the abductors had told her to come to the CID Head Quarters in Fort, and from there she could get the son and husband released. The typical housewife had not even gone out of her house since her husband, the sole breadwinner fulfilled every need in the family. Nihara who has a poor knowledge on roads had somehow gone to the CID Head Quarters with her cousin. But, the CID officers had no clue about what she said. She had lodged complaints with the CID and returned home. On October 31, 2008, she received a telephone call from the abductors who said to have been detaining their son and husband. The call was made by the abductors threatened her to arrange Rs.1 million ransom ready to release her son and husband. “I was alone, and without my family. They said they would kill my husband and son unless they were given the ransom. I begged them several times because I was not in a position to collect such a huge amount of money. I came to an agreement with them to pay Rs. 500, 000. I had to mortgage my jewellery, furniture and even my house in order to collect the ransom,” she said while wiping the tears. According to the abductors’ master plan, the deal was scheduled to take place in a lonely road in the vicinity of a garment factory in Narammala, Kadahapola. “I went there with my cousin and saw a diminutive man who said he was the one who called us. When we handed over the sum of money to him, he said my son and husband were detained in a van on the adjoining road. He told us to leave that place without even looking back. We did so as we had no other option. As time went on, we realized that we had been hoodwinked by him. I found neither my husband nor my son,” she said. In another dramatic episode of Nihara’s story, a group of armed men claiming they were from the CID had again come to her place. They had forcibly taken the Bible and spectacles used by Antony Kasthuriarachchi promising to make arrangements to talk to him as he was under their custody. As they promised, Nihara had spoken to her husband who told her that he was keeping well and received the Bible and the spectacles. Amidst all of these incidents, the genuine CID officers had visited the place in Kadahapola where the ‘ransom’ was paid. According to the reports submitted before the Court, the extra-judicial detentions had taken place under the guidance of Lt. Commander Sampath Munasinghe along with Hettiarchchi and Ranasinghe. The investigations have revealed that the mentioned Navy personnel are directly involved and responsible for the abductions and illegal detentions. "I was alone, and without my family. They said they would kill my husband and son unless they were given the ransom. I begged them several times because I was not in a position to collect such a huge amount of money"
However, SI Nishantha Silva who led the inquiries had been transferred several times during the past seven years. It also contributed to the delay in conducting investigations into these incidents. In the meantime, several civil organizations stood firm against the abductions demanding justice to be prevailed to the victims and their family members. The Tamil National Alliance (TNA) was also one of them. They had accused the then government of attempting to hide concrete evidence linking the Navy and Gotabhaya with abductions in camps in the Trincomalee Naval Base. The abductees, Jammaldeen Dilan, Rajiv Naganadan, Mohammed Saajith, Antony Kathrutiarachchi and Kathrutiarachchilage Johnreed’s names are mentioned in the story; and eleven persons had been abducted in several places, including Dehiwala, Wattala and Katunayake. 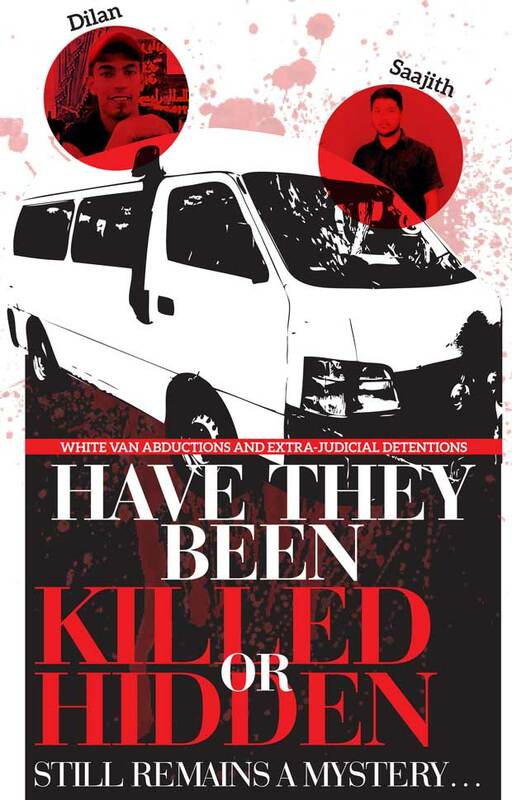 Though everyone was talking about the white van abductions and extra judicial detentions, it still remains a mystery as to what really had happened to these abductees. The victims’ parents said that an international inquiry would be the sole means by which to uncover the truth behind these abductions and disappearances. Kothalawalage Bandu Kumara, a retired navy soldier who currently drives a trishaw. And the murders contesting again to do the same again. We shall give the gun to them to be shot at.